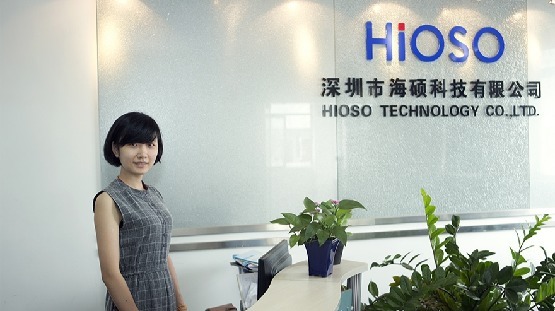 Hioso Technology Co., Ltd. is a manufacturer of optic communication products after the foundation of Huawei and ZTE since year 2002 located in Shenzhen, China. We are mainly engaged in designing& developing,manufacturing, selling and providing technical support and application in the FTTH and FTTD products,including GPON/EPON ONU, ONT,OLT,fiber media converter, EOC, PoE switch, fiber Switch, industrial Ethernet switch, digital video optical converter, SFP module, bridge, CWDM and so on. After 16 years of development, we have a professional team and overall operational capabilities, rich experiences in international trade, and have made good relationship with customers from countries all over the world like USA,Brazil, India, Singapore, Malaysia,Thailand, Ukraine and Russia, Peru, Colombia, African countries, etc. We are looking forward to establishing business relationship with new customers around the world. If you are interested in our products, welcome to your inquiry and visit our factory. HiOSO, a brand worthy of your trust.